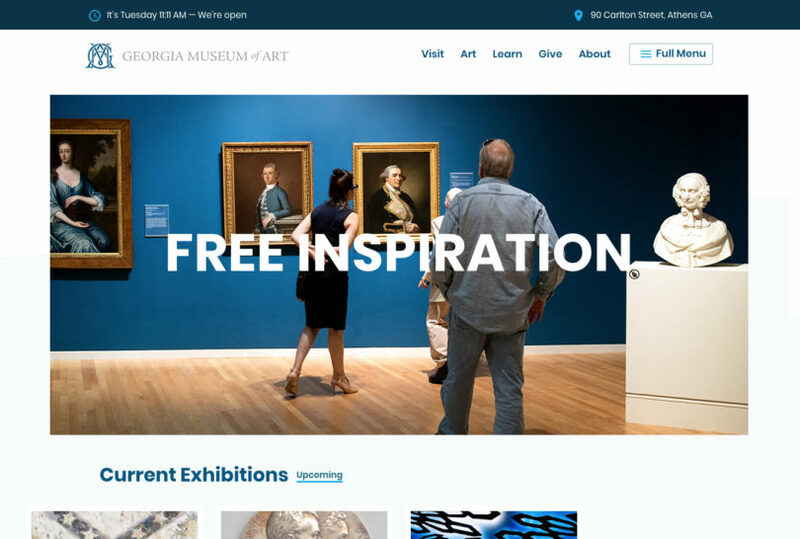 The Georgia Museum of Art has redesigned its website. In addition to the website content being optimized for display on mobile devices, other key improvements are real time “we’re open/closed” status and a location map link on the very top of every page, the use of larger images and text and streamlined navigation and content, including the collections database. Additionally, the museum’s blog, previously available via Blogger, is now hosted on the site as are a gallery of visitors’ social media posts and the popular “You in the Museum” Instagram section. The museum also has launched a touchscreen kiosk for visitor feedback at the front desk.